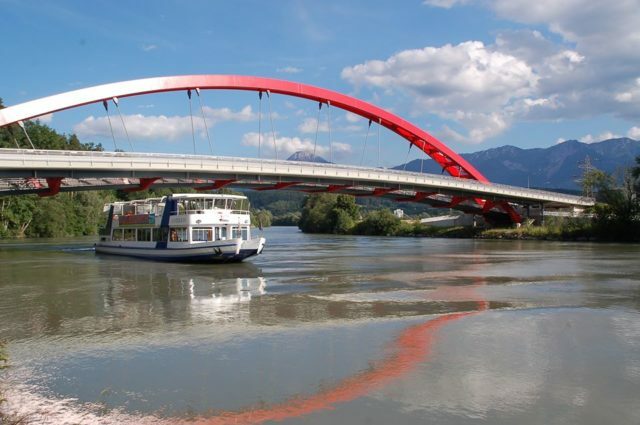 Whether you are planning a celebration, your own get-together or simply want to enjoy a cruise along the River Drau or on Lake Ossiacher See, a boat tour is always a special experience! Wouldn‘t it be nice sitting on the deck of a boat, the sun shining and shimmering on the water surface, and a pleasant breeze stroking your face while Villach’s old town passes by like a Renaissance stage setting? Enjoy one of Austria’s most beautiful landscapes by boat! WOW FACTOR: Experience Villach's beautiful landscape by boat. Enjoy the scenery while having a glass of wine and get inspired by the beauty of the region.